My cousin and I dialed into Genesis at the release of 1976's "A Trick Of The Tail," the first without Peter Gabriel. We loved it, and started buying back, loving each previous release until we made it to the first, "From Genesis To Revelation," a compilation of early singles and stray tracks. After you've fallen for the six and seven minute exercise in precision and musical chops, hearing the early recordings, which sound like late 60's pop psychedelia at best and hokey orchestral rock at worst, the transition could be a bit jarring. 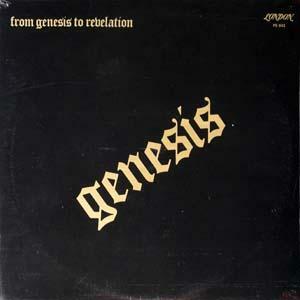 But as years have gone by, I grew a fondness for the music found on "From Genesis To Revelation." The key is to not compare the early band with the late. Instead, take it for what it's worth. 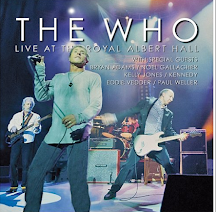 Some tracks sound like what The Bee Gees might have been doing around 1968 and 1969, and of course, there's no escaping The Moody Blues...though I've tried...with all due respect to the Moodies and their fans. I pulled two tracks that I find very musical. I love Gabriel's voice on both. It is young and passionate and not quite bored yet. That quality came with age, and his sudden morphing into Raymond Burr in the mid-nineties. But here, Genesis is still trying to find themselves. I think they made the right decision, but these early tracks are much better than most remember. To borrow a phrase, Sorry Charlie. Not plugged in like that. I was inspired so I ran with it. You're so right Sal. I hadn't ventured into the early stuff until later myself. But I must say it is enjoyable. Trying to find themselves is accurate. Moody Blues and Bee Gees 1968-69 is right on the mark, (with vocals an exception). Actually, like you, I haven't listen to this material in long time. I'm going to dig it out and enjoy myself. Thanks man! Good post. Thanks - never heard these before and really enjoyed. I discovered Genesis with Selling England By the Pound and around that time consumed all things English prog voraciously - Gentle Giant, Hatfield & The North, Camel, Strawbs, and of course Yes. I did like Trick of the Tail when it came out, but quickly lost all interest in Genesis and the genre after that. I still like to revisit classic Gabriel-era Genesis and still love Yes, but those other groups? I cannot figure out what it was I was hearing in them back then. A Genesis song that didn't leave me wanting to make an Exodus. cool. @Jeff K. I bet I could come up with 10 Genesis songs that would make you stick around. So let's see. A Motown mono and an early Genesis, for weekend mixes. Sounds of anticipation. "Raymond Burr in the mid-90s"...Classic! My first was "Selling England By The Pound". I bought this album and listened to it once. I hear The Nice this time around. Jeff Matthews, I share your arc. Whoa - "In The Wilderness" is way cooler than I thought it'd be. I like that cut a lot. A little revelation indeed!! Yes, I did make the Marty Feldman comment, but it was specifically about "Robbery, Assault & Battery." I stand by that claim. @buzzbaby: The Nice are a perfect example of English prog that for me was once "the pinnacle" but has now become completely unlistenable. Even "Hang On To A Dream" - which I used to love - is unbearable. I recently deleted it from my Operating Room playlist (I'm a surgeon). What happened?